Speedy Equestrian is situated at Mid Drumloch Equestrian Ltd, an established Equestrian Centre based just outside Hamilton, Lanarkshire, about 14 miles from Glasgow City Centre. We are situated in 100 acres of fields, surrounded by horses, with an indoor and outdoor school, and 34 stables. We have an equestrian shop on our premises. 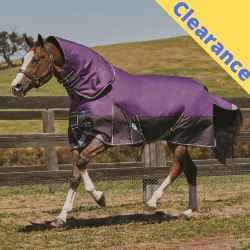 Speedy Equestrian, and the on-line shop, has come about as a result of the popularity of the shop on our yard. Mid Drumloch has been an equestrian centre since 1990. The farm has been in existence since 1840. Making a purchase could not be easier. Just browse our store, and add any items that you wish to buy into the shopping cart. After you have finished your selection, click on 'Checkout' and you will be asked for a few details that we need to be able to complete the order. You are responsible for checking the accuracy of your order. We currently only ship orders to UK mainland addresses. We cannot accept any liability for strike action, industrial action or any other similar dispute which delays our ability to despatch your goods in the timescales provided. Our responsibility for delivery of your purchased goods ceases when the carrier has notified the addressee that a delivery attempt has been made, if you are not available to accept your purchase. The payment for the goods and the receipt thereof, unless faulty, constitutes completion of the purchase transaction. If the goods are retained at the Post Office or Courier for uplift, they must be collected within 7 days. If the goods are returned to us we reserve the right to pass any additional postage charges to you. 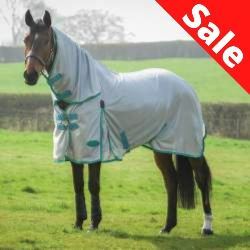 For orders made from the UK 20% VAT is included in the final price. There is no VAT on children's clothes, boots, hats etc. Your purchase is made via a secure server. The payment screen explains the payment process. To protect your online purchase the card details are checked against the identity of the purchaser. You have a choice of secure payment methods - either use our secure debit/credit card payment system or pay through PayPal. Even if you don't have a PayPal account you can still use the Paypal online payment system without creating a Paypal account. 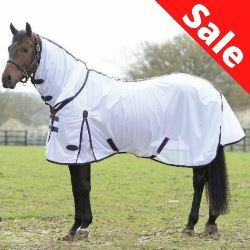 All goods supplied by Speedy Equestrian come with manufacturer's warranty only. 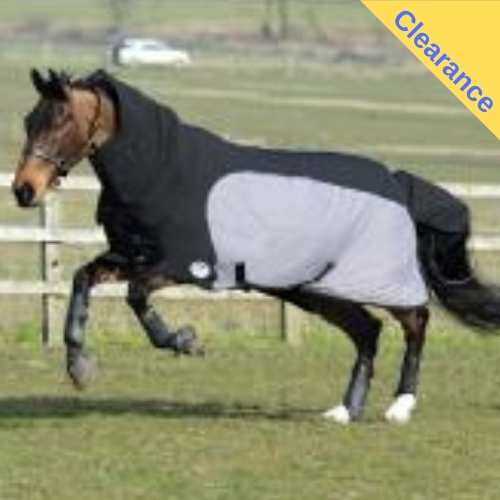 Speedy Equestrian is a trading name of Mid Drumloch Equestrian Ltd.
We may exchange goods but only if the packaging and labels are intact. If you wish to obtain a replacement product or a refund, the goods must be returned within 7 days, with labels and packaging intact, as delivered. We regret we cannot meet your postage costs in these circumstances. We cannot refund postal charges incurred by you. If the goods are deemed to be faulty or defective it is your responsibility to return the goods intact, as detailed above. The purchaser is responsible for the cost of returning goods. Proof of Postage should be retained by you. Proof of postage is not accepted as proof of receipt by us. We cannot offer a goods uplift service. Generally, goods are checked at our premises prior to despatch. If the item is not to your liking, we will refund your payment or replace the item. We regret we cannot pay your postage costs in these circumstances. For a refund or exchange you must return the goods to us, in the same packaging and in the same condition as that which they were received. If the goods are received by you in damaged condition, you must advise us within 4 days of receipt of goods. Specification of goods via our website is such that although every attempt has been made to accurately display the correct colour, shape and size of the items, exact reproduction is not always possible. Manufacturers reserve the right to supply goods that may differ in colour and design from that displayed on our website. Consequently, goods supplied to us by a manufacturer may change slightly from the items on our website. Any items which you return to us must be in the same condition as that which they were received. The Health and Safety at Work Act 1974 permits our operatives to refuse to handle or accept soiled goods.